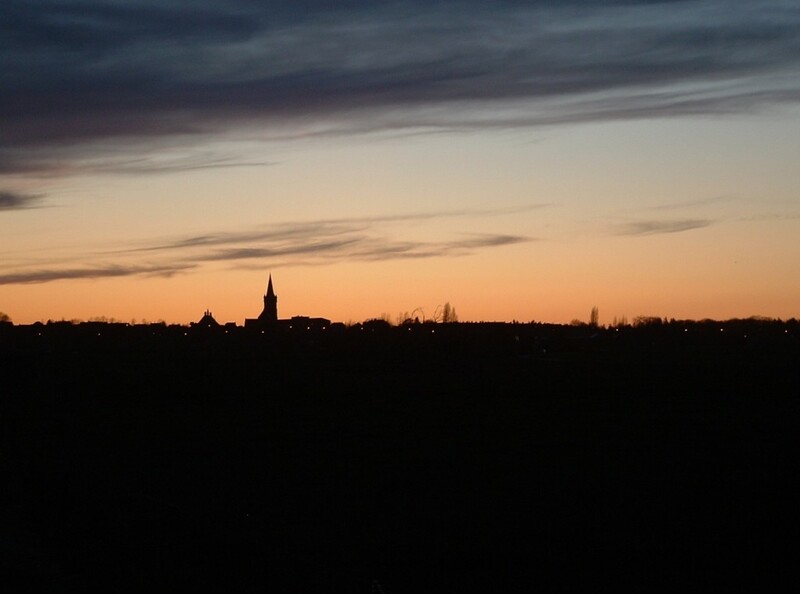 The Battle of Messines (above, the rebuilt Messines Church), which took place between the 7th & 14th of June 1917, was Haig’s preparatory offensive before his planned assault on the Passchendaele Ridge further north. In order for the advance towards Passchendaele to have any chance of success, the Germans would first have to be forced off their long-held positions along the Messines Ridge to the south of Ypres. At 3.10 on the morning of 7th June, 19 huge mines were simultaneously exploded beneath the German front line trenches from Hill 60, south east of Ypres, as far south as the borders of Ploegsteert Wood. Remarkably, it took just three hours to capture the complete length of the Messines Ridge, and although stiffening German resistance in the hours and days that followed prevented any further appreciable advance east, the offensive’s objectives were nevertheless effectively attained on that very first day. 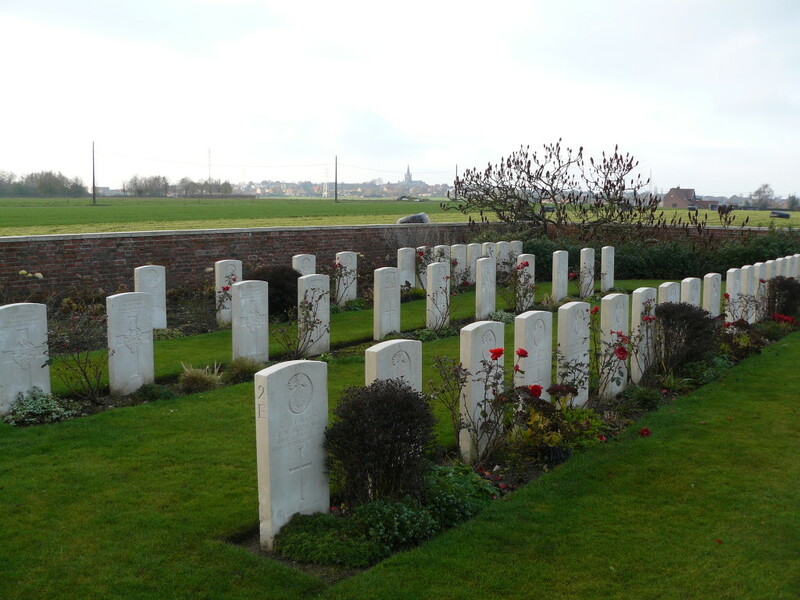 I have promised more than once over the last year or two that, at some point in the future, we would take a tour of the Messines battlefield and the cemeteries and memorials that lie within the ground captured by the British around Wytschaete and Messines itself on the first day of the battle. That time, I kid you not, is near, but first here’s a brief preview of some of the sights we will visit and the route we will take. Our tour begins at Wytschaete Military Cemetery up on the Messines Ridge (see photo above – this was all German territory before the battle began), before following the road you can see in the picture west, towards where the front lines once ran from north to south, roughly parallel to the ridge, at this point no more than a mile away. 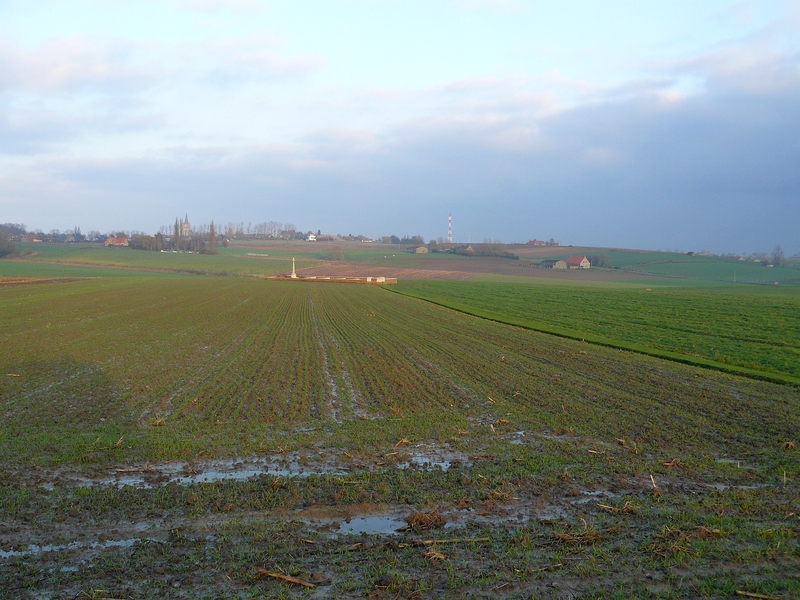 It’s worth taking note of Mont Kemmel, the hill clearly visible in the centre on the horizon. The highest point in the area, and within the British lines for much of the war, for once allowing them to observe activity behind the German lines as opposed to the other way round, Mont Kemmel was the scene of heavy fighting before the Germans finally took it in April 1918, but I mention it here because it’s often a useful direction-finder when it appears in the background of these photos, which, as you will see, is a not infrequent occurrence. 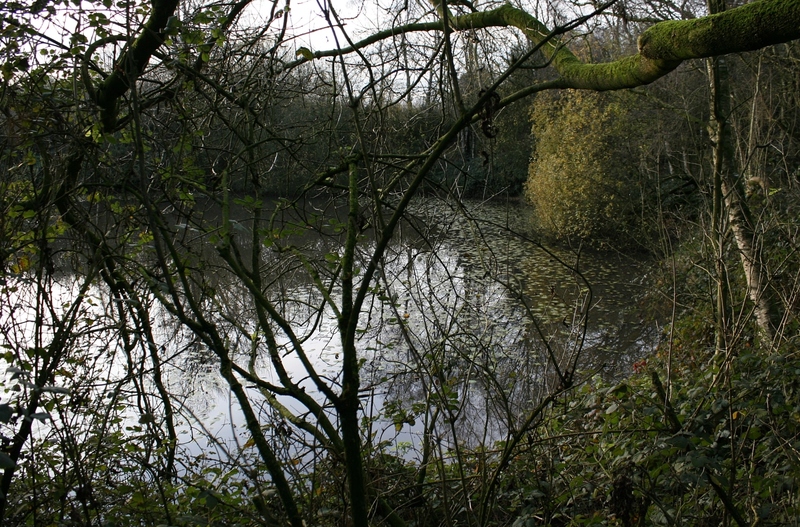 *Our previous visits to the craters at Hill 60 and the Caterpillar to the north, as well as the Ultimo and Factory Farm craters further south, can be found elsewhere on the site; use the search facility to locate them should you wish. 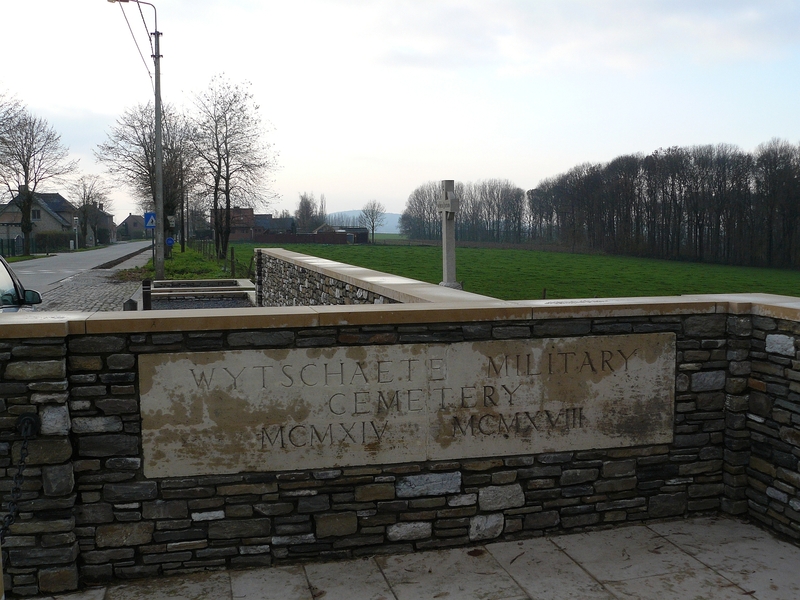 …as we follow the front lines, as they were on 7th June 1917, further south. 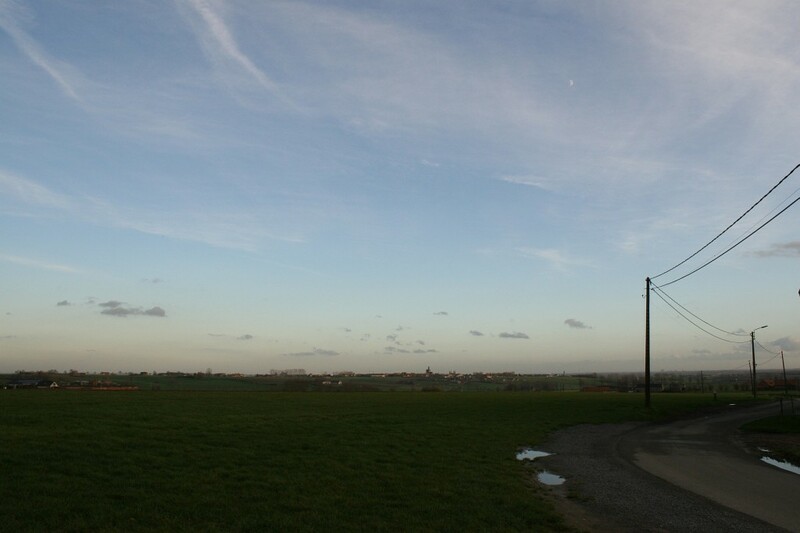 The photo above gives a German view south west across no-man’s land directly in front of us (the British front lines were not far away, approximately where the beautiful Lone Tree Cemetery now stands, another photo of which you see every time you visit this site) towards the British rear. 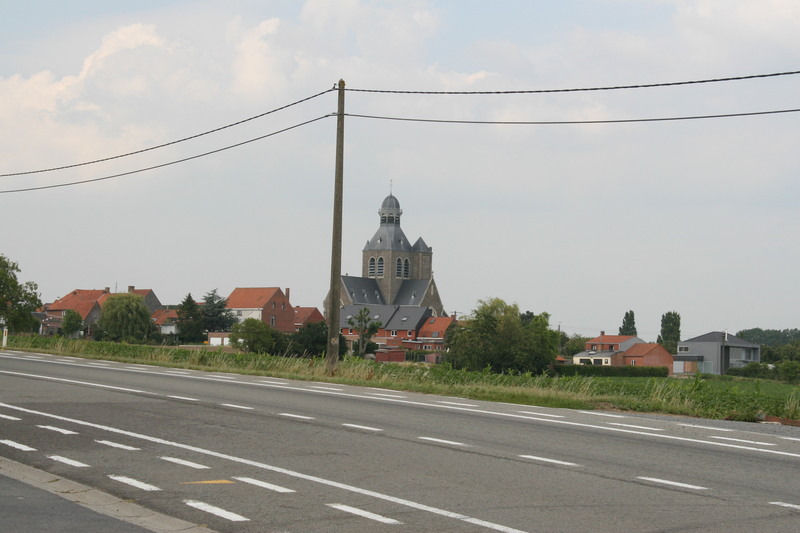 From the same position, this time looking south east towards the German second line positions, known as the Hoehen Line, which ran along the crest of the Messines Ridge in the background (Messines Church is clearly visible on the horizon in the centre). …before heading up on to the ridge itself. 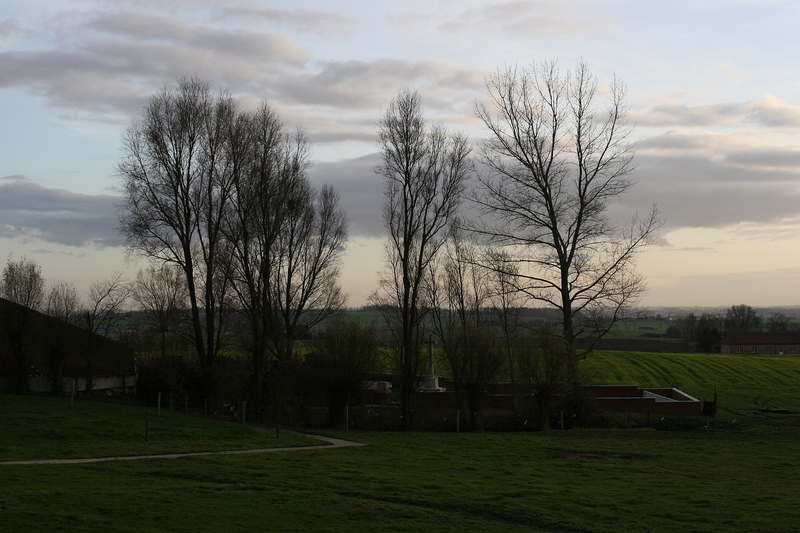 These fine views look from the German positions west, across their own front lines, at this point less than half a mile away in the fields below, towards the British positions beyond (above & below). You will note Mont Kemmel once again rising above all else on the horizon away to the north west. …before ending as night falls to the north east of Wytschaete (above), where the 4th Australian Division found themselves holding sections of the German Oosttaverne Line at the end of that first day of the battle, and where German resistance had already begun to harden. So that’s the plan for this site over the next six months, or however long it all takes. 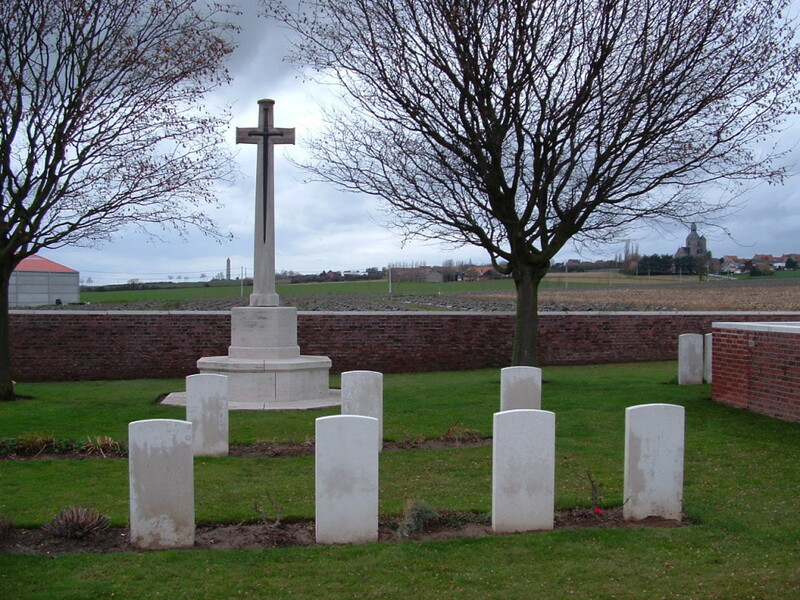 If you want to see the full itinerary, with a list of all the cemeteries and memorials that we shall be visiting, then click the link beneath the Google map below. If not, don’t.